While researching this month’s ParentMap print feature, “The Push for Paid Leave,” I heard many sad stories about women having to go back to work too soon because they didn’t have paid family leave — women breastfeeding in bathrooms, aching from C-sections, clearly not ready to return to work but putting in their 40 hours (or more) because they had no other choice. Then I heard about Ali Dodd and Amber Scorah. Both Dodd and Scorah are mothers whose babies died in daycare during the first week they went back to work. Dodd's employer offered no [paid] maternity leave program; she and her husband had saved so she could take 10 weeks and six days off after giving birth. Only a few months after Shepard's death, Scorah lost her own newborn son, Karl. On her first day back at work after three months of employer-provided paid maternity leave, she went to fed Karl at his day care at noon. There, she found a child-care worker performing CPR on her blue-lipped son. Karl’s cause of death remains unknown. These stories may seem like outliers but they illustrate how desperately our country needs some kind of paid leave for families. I spoke with Scorah about her and Dodd’s work to pass federal paid family leave laws and why the push to pass a national paid family leave policy is important for all Americans. When did you and Ali [Dodd] decide to join forces? Ali lost Shepard a few months before I lost Karl. She reached out to me after reading about Karl’s death … I was obviously out of my mind with grief and shock, but was so grateful to feel less alone. Ali was basically on call for me with support many times during those first days and weeks. Knowing someone else had gone through this and survived kept me going. My partner, Lee, and I knew that we wanted to campaign for parental leave. We had agonized over wanting to stay home with Karl a bit longer and having to choose between that or bearing the consequence of losing my job and our health insurance. When Karl died that first morning I left him, I felt if he had been with me we would still have him with us today. If parental leave or, at a minimum, job-protected leave had existed, it would have bought me more time to care for him past the point of whatever vulnerability he had. Even though we are from such different environments politically, our babies and our families both needed a paid family leave policy. The more we read and researched, the more we felt that this was not a political issue, but rather an issue of the health and wellbeing of all our children. That article went on to be published by The New York Times last November. I cannot think of any argument that justifies our country ignoring the precious value of the first six months to a year of our babies’ lives. I’m not willing to settle when it comes to our babies. Why is paid family leave important? The Centers for Disease Control writes that “safe, stable, nurturing relationships and environments between children and their caregivers … are fundamental to healthy brain development.” On the economic front, research shows that every dollar spent on early childhood development will generate eight dollars for society. Yet 87 percent of American parents have no access to paid leave through their employers. Each month a baby’s parent has paid leave decreases infant mortality rates by 13 percent [so] I and many other parents are fighting for each and every month our babies need with us, getting them past the point of vulnerability and to provide them the best start in life that they can. Our policies are hopelessly outdated and our children are paying the price. What amount of paid family leave do you think Americans should have access to? I don’t think that there is any reason why we as a society wouldn’t demand six months parental leave as the minimum for American babies. This amount is on the low end of what our economically-comparable peer countries provide. There are plenty of models of how six months paid leave can work and work very well, benefiting families and the economy. Sure, 12 weeks is the length that the most generous of the politicians’ proposals are coming in at. But sudden infant death syndrome (SIDS) risk is at its peak at precisely 12 weeks, and doesn’t cease being a risk until a child is 1 year old. I cannot think of any argument that justifies our country ignoring the precious value of the first six months to a year of our babies’ lives. I’m not willing to settle when it comes to our babies. Why are you calling for better paid family leave instead of better day care? About 20 percent of SIDS deaths occur while the baby is in the care of someone other than a parent. This is more than double what would be expected, statistically. One-third of those babies die in their first week of childcare. Half of those deaths occur on the first day. There are many, many wonderful, devoted childcare workers in this country, but there is no way that they can be as attentive to a newborn baby as that baby's mother or father can be. Don’t get me wrong: I think that high-quality daycare at affordable prices is also a very important issue for our country to address. But my point is that 2-week-old babies should not have to be left with a caregiver by their parent. Yet this is the situation for 25 percent of American babies today. 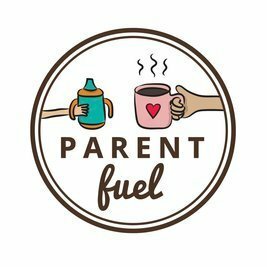 A friend of ours helped us build this website that allowed people to input their zip code to easily find out who their government representatives were and with the click of a button either tweet, email or call that rep (or their favorite presidential candidate) to voice their support for paid parental leave. The site has had more than 200,000 visitors. Our goal is to be heard by those who represent us. We want them to hear that our babies need their parents to have paid parental leave now. Have you received any feedback from politicians? We have not yet heard from any politicians. That being said, I don’t think they will be able to ignore us or the 73 percent of Republicans, 87 percent of independents and 96 percent of Democrats who agree it is important for Congress and the president to consider a family leave insurance system, forever. The petition we started is nearing 40,000 signatures and counting. We have plans to keep the pressure on our politicians until they publicly commit to where they stand on this issue since it’s an issue of such urgency and importance for all American parents and children.